Clipping Chix: CVS: McCafe K-Kups only $5.99 with Coupon! Here’s an easy deal at CVS. 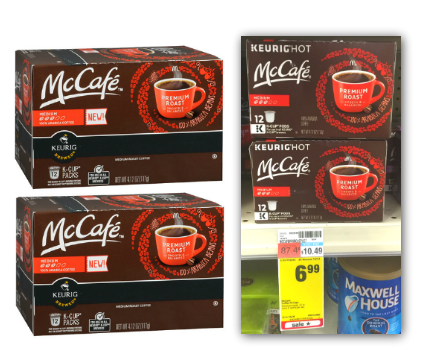 This week, McCafe coffee K-Cups are on sale for $6.99. Use a $1.00/1 manufacturer coupon from the Smart Source 11/1 newspaper insert to bring the price down to $5.99, or $0.49 per K-Cup! That’s over $4.00 off the regular price!